The walled city is a typical feature of Veneto. It testifies the standing struggles among cities for the monopoly on trade during the Middle-Ages. 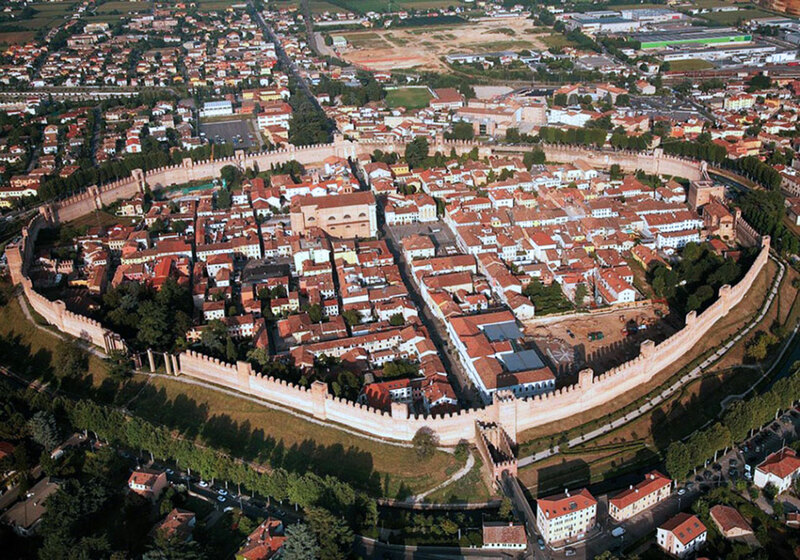 Castelfranco Veneto developed around its square city walls which are one of the best preserved in the region. Castelfranco Veneto was also the birthplace of Giorgione, one of the most important painters of the Veneto Renaissance. In the cathedral you can admire the only altarpiece he did. In the adjacent museum you can have a visit and wonder a valuable frieze by him. Cittadella is recognizable for its elliptical walls you can walk on. From the parapet walk, you can see the original arrangement of the city, which was a Roman Castrum (military settlement), and wonder ancient watchtowers and gates as well as visit the Casa del Capitano and the Torre di Malta. Not so far from Cittadella, is Marostica worth a visit too. Rewarded as one of the best hamlets in Italy, it is dominated by its two castles. The superior castle is on the Colle Pausolino and the inferior one right at the charming main square. They are connected by the ancient city walls which are accessible in part and very suggestive to wonder from the square. Marostica is famous among people and tourists for the chess match with living pawns. This match takes place in September and characters wear 16th century costumes. It reminds on a famous chess match between two men to decide which one could marry the major’s daughter of that time.